Fume is a byproduct of raw material production and is a fine white or off-white powder. Types of Fume are usually Silica or Zirconia. Depending on whether it is a controlled fuming process (Fumed Silica) or captured from furnace gas (Silica fume) determines the level of purity. When mixed with liquids, a three dimensional matrix is formed creating properties helping to increase viscosity, strengthen cement, prevent absorption in porous substrates, prevent pigment sedimentation, control evaporation in coatings, create sag resistant coatings. 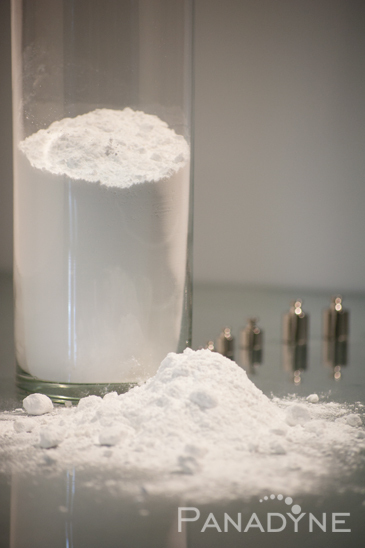 When added to solids or powders, it acts as a lubricant or an anti-caking agent.